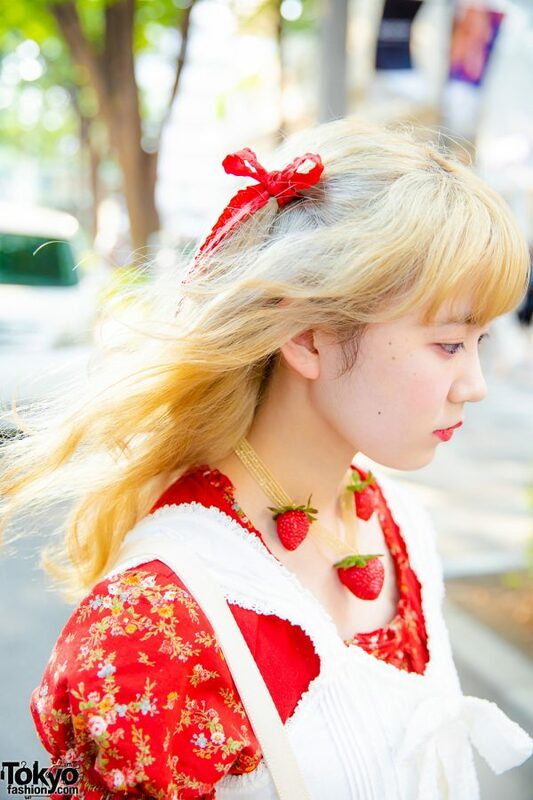 In Harajuku, we came upon Yuno, an 18-year-old student who caught our eye on the Harajuku street with her chic red-and-white ensemble. 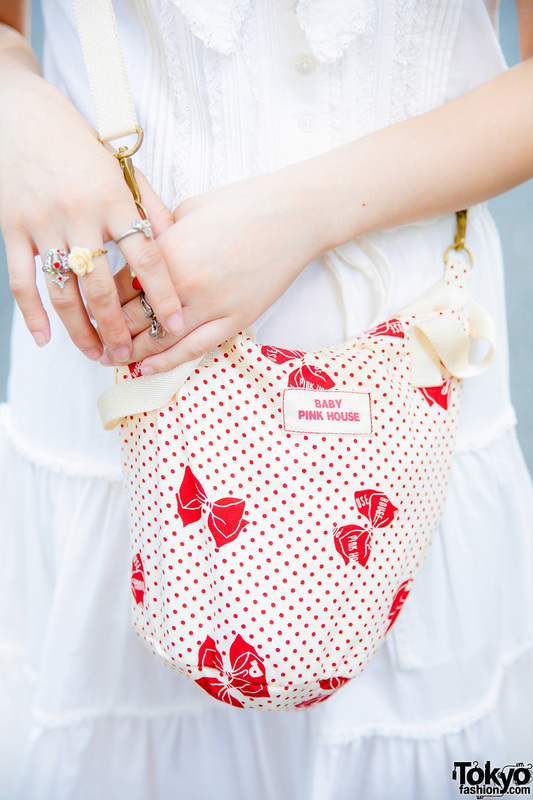 Yuno is wearing a red floral print blouse under a white dress with lace embellishments, a bow, and a ruffle skirt, both of which are from Pink House. 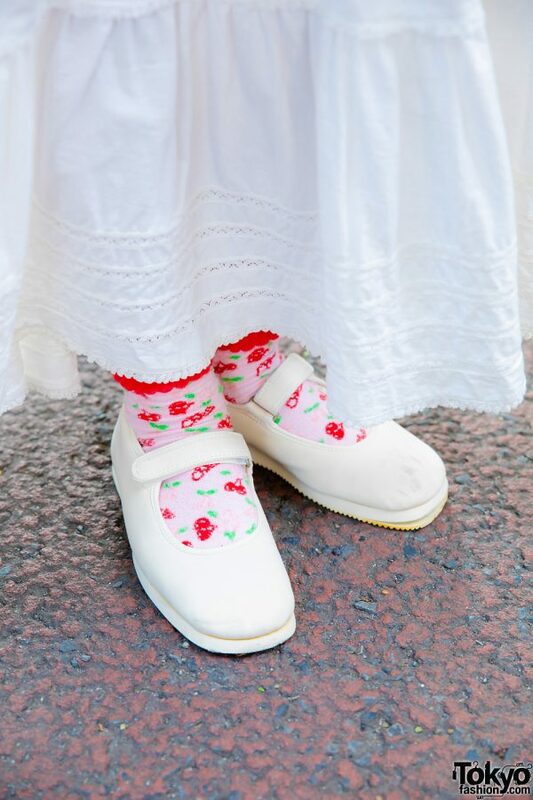 Cherry print socks, white Pink House baby doll shoes, and a polka dot sling bag – also from Pink House – completed her outfit. 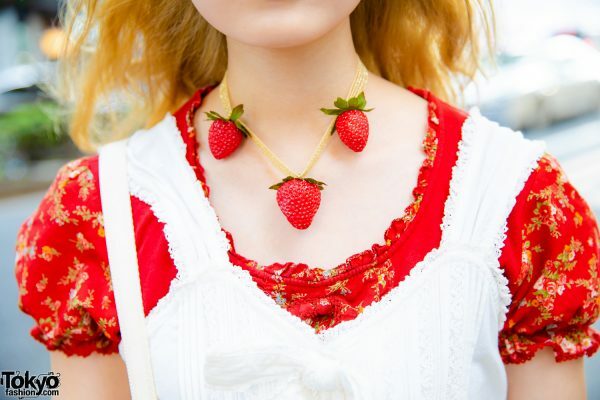 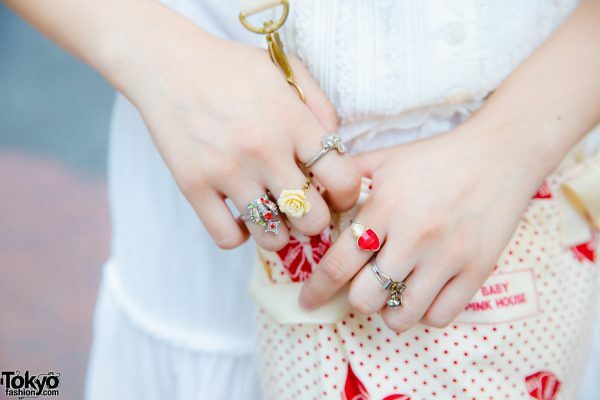 Chic accessories – some handmade – such as red hair bows, a strawberry necklace, and multiple cute rings rounded out her style. 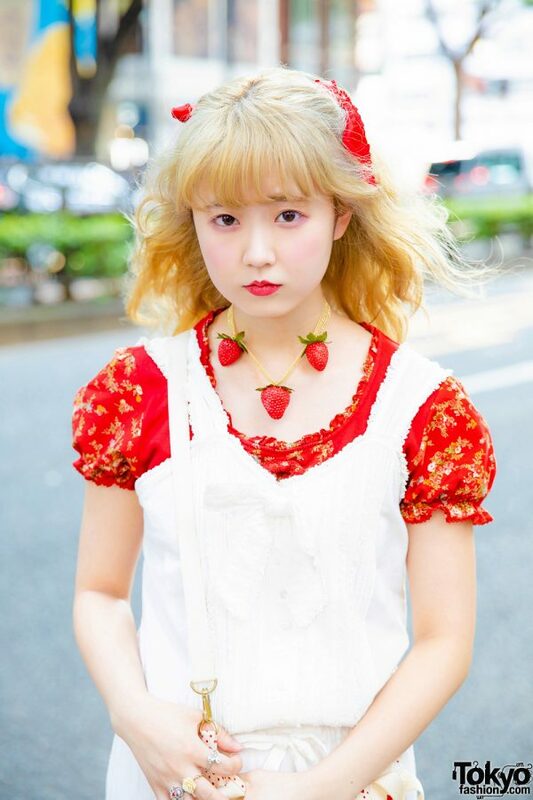 Yuno lists Teddy and San To Nibun No Ichi as her fashion favorites, and she likes the music of Melanie Martinez. 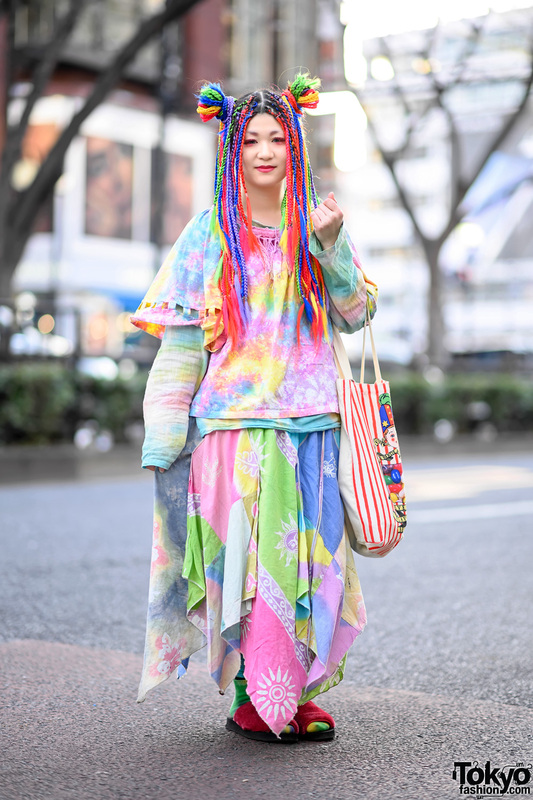 For more on Yuno and her streetwear styles, follow her on Instagram.